CLASSIC LOW PROFILE DESIGN - Classic lightweight design in matte colors with modern features. REMOVABLE LINING - After a warm day of riding you can EASILY REMOVE the INNER LINING and wash away any sweat. SAFETY - Built for both comfort and safety with REINFORCED ABS SHELL & SHOCK-ABSORBING EPS CORE. AWESOME VENTILATION SYSTEM - Equipped with 12 air vents that will KEEP YOU COOL and COMFORTABLE for hours of riding. 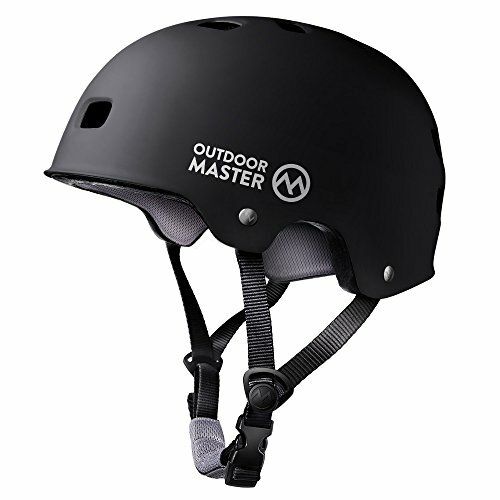 WHAT YOU GET - OutdoorMaster Skateboard Helmet & our CUSTOMER-FAVORITE 1 YEAR WARRANTY and friendly customer service. Classic lightweight design in matte colors with modern features. After a warm day of riding you can EASILY REMOVE the INNER LINING and wash away any sweat. Built for both comfort and safety with ABS shell and EPS pads. Equipped with 12 air vents that will KEEP YOU COOL and COMFORTABLE for hours of riding. - This helmet is designed and intended exclusively for skateboarding, roller-skating and cycling. 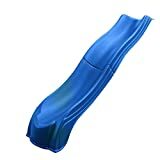 It is not intended for motor vehicle and will not provide adequate safety protection if used during motorsport. 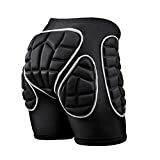 It is also not designed for sports other than those for which it is certified. - For maximum protection, the helmet must fit well, and all retention straps must be securely fastened. - No helmet can prevent against all injuries. Serious injuries or death may occur by any unforeseeable impacts or blows. 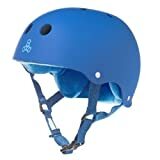 OutdoorMaster makes no claim that this helmet will eliminate all possibilities of injury. - Every time you use this helmet, check that noting is badly torn, missing or out of adjustment.